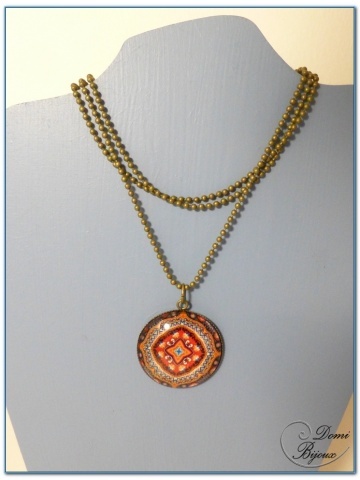 Fashion Necklace bronze Finish with Mandala cabochon. 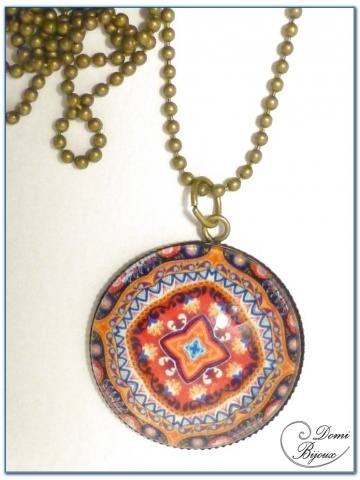 This fashion necklace bronze finish is made from a mandala cabochon of 30 mm diameter. 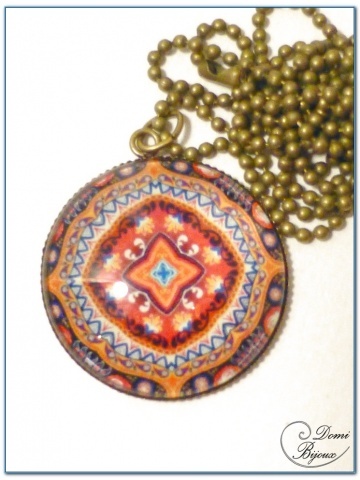 This cabochon is inserted in a bronze finish frame. The pendant so got is mounted on a chain of 60 cm length. It's nice to wear this pendant long. The metal used is nickel free, so do not fear allergies. Like all our jewells, you will receive this hand made necklace in a cloth pouch closed by a link, so you can store it carefully when you don't wear.